Philipp Kopachevskiy was born in Moscow in 1990. He graduated from the Central School of Music of the Moscow State Tchaikovsky Conservatoire. He studied in Moscow Tchaikovsky Conservatory (class of Professor Sergei Dorensky), since 2013 – postgraduate in the same place. 2005 – laureate of the IIInd prize and special prize of YAMAHA at the Х international Schubert competition (Germany). 2006 – winner of the Vera Lotar-Shevchenko Memorial Festival (Novosibirsk). In 2006 he was awarded a special prize by Yamaha at the Jose Iturbi International Competition. The musician has performed with the world’s great orchestras. He has collaborated with such illustrious conductors as Mstislav Rostropovich, Vladimir Spivakov, Mikhail Pletnev, Yevgeny Kolobov, Yuri Simonov, Alexander Dmitriev, Andrew Gourlay, William Noll, Bjarte Engeset, Charles Olivieri-Munroe, Yevgeny Bushkov, Maxim Vengerov, Paul Watkins, Jan Latham-Koenig, Dorian Wilson and Dmitry Liss among others. Philipp Kopachevsky has appeared at numerous international festivals, such as the Andrei Sakharov Festival (Nizhny Novgorod), the Vera Lotar-Shevchenko Memorial Competition (Novosibirsk), the Steinway Festival, the Miami Piano Festival, the Arts Naples World Festival (USA), the Colmar International Festival (France), the Mstislav Rostropovich Memorial Festival (Baku), the Baltic Seasons festival (Kaliningrad), Vladimir Spivakov Invites, Stars on Baikal, Crescendoand Denis Matsuev Invites among numerous others. He performed at the world premiere of choreographer Benjamin Millepied’s ballet Without at the Mariinsky Theatre. He regularly appears in recital in Great Britain, Germany, the USA, the Netherlands, France, Italy, Greece, Poland and Spain as well as throughout Russia. Kopachevsky has won particular popularity in Japan, where especially for NHK TV he recorded a disc of piano music by Chopin. “The young pianist’s playing has a perceptibly personal message. The natural blend of mastery and spiritual maturity with raw emotion, the freedom with which the pianist expresses himself and his Romantic sincerity and nobleness win one over from the very first notes...” “From the first notes he plays, you sense the pianist’s powerful and lyrical individuality. His piano sings – this is a very rare quality nowadays, typical of a Romantic worldview; he retains clarity in his pianism and his phrasing is beautiful and pliant...” These are the kind of reviews Philipp Kopachevsky receives from music critics. Philipp Kopachevsky is involved in the Moscow State Academic Philharmonic’s project Stars of the 21st Century. 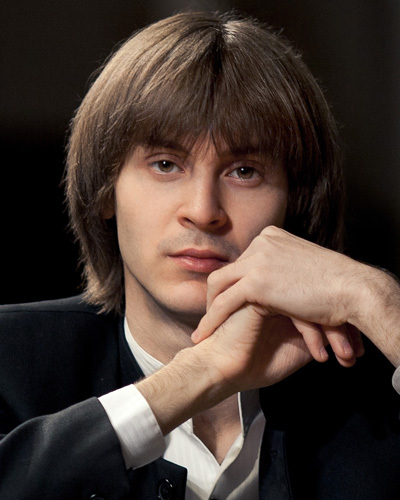 Since 2013 he is participant of program of St.Petersburg Music House.